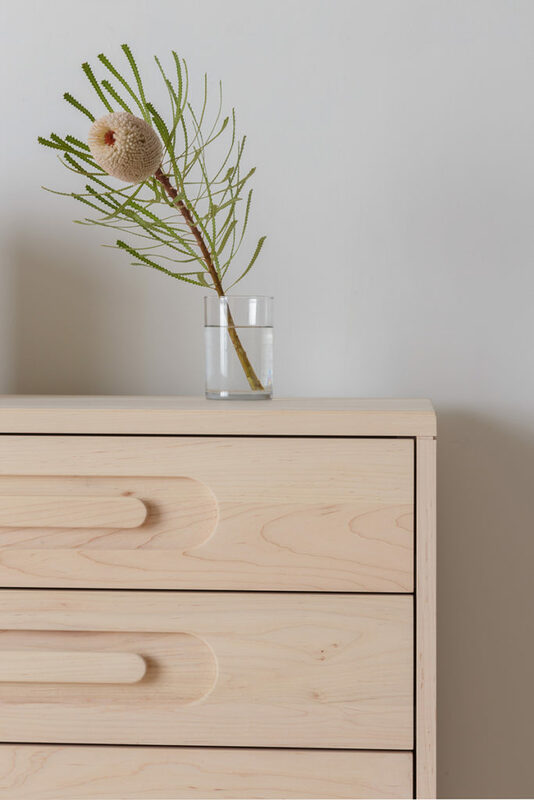 After nearly two years, the Caravan Dresser is back in production, redeveloped with soft-close drawer slides, an exposed wood top, and a new oil/wax finish painstakingly developed to preserve the delicate and luminous beauty of raw Maple. A perfect marriage of beauty and utility, the Caravan Collection is beloved for its classic forms and versatility. Impeccably crafted from time-tested natural materials, each piece is thoughtfully designed with a commitment to sustainability and to the idea that the essential parts of a child’s first living space should be effortless and beautiful for those who experience them. 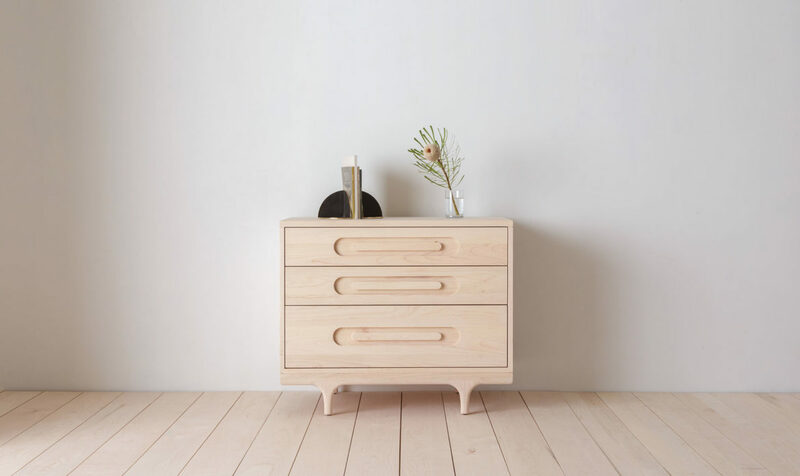 The dresser is proudly built by some of the finest craftspeople in the country. All materials are chosen with a profound respect for the environment and with a respect for how the material ages to ensure the piece grows more beautiful with age and use.